Of all the religions of the world, George Lindbeck avers, “Christianity is the most abso­lutely–or outrageously–infallibilist, and therefore the one least capable of surrendering the notion of infallible dogmas” (“The Infallibility Debate,” in The Infallibility Debate, p. 120). This is as true for Orthodoxy as for Catholicism, for Catholicism as for Protestantism. This is not to suggest that the Christian faith may be reduced to its articulated core beliefs. Every religion exists as a network of rituals, symbols, stories, and practices that embody its convictions and worldview; each enjoys a density and depth grammar that resists scientific analysis. Informed outsiders may be able to specify the rules that govern the discourse of a specific religious community and describe its practices, but its essence will always elude their full comprehension—hence the limitations of comparative academic study. To come to know Buddhism or Islam or Hinduism—to know what they truly mean—one must be formed by the respective religion and acquire a real measure of fluency and skill. I remem­ber back when I was in late elementary school, a neighbor girl (several years older than me) went to France for six months. She stayed with a family in the countryside. She had been studying French for several years but lacked fluency. She initially struggled to converse with her new family, but after a couple of months of immersion in their culture, conversation became easier. The breakthrough, I remember her later telling me, occurred when she started to dream in French. She was finally “becoming” the language. So with religion. It’s not enough to be able to recite the grammatical rules. We must also dream the faith. In this sense the property of infallibility is completely independent of the subjective commitments or certainties of a religion’s adherents. Even an atheist, for example, can acknowledge that the claim “Jesus is the Son of God” is an infallible proposition within the Christian language of faith, without in any way compromising his own conviction that the gospel story is but silly mythology. Given that Christianity rests upon a claim of divine revelation, its central affirmations assume decisive significance. While the three great monotheistic religions assert univer­sality, absoluteness, and finality for the revelation they believe they have received, only Christianity, states Lindbeck, “affirms that the God who is ultimate reality and truth has fully and definitively communicated himself for us men and our salvation in an historically locatable and empirically tangible person, Jesus” (p. 120). 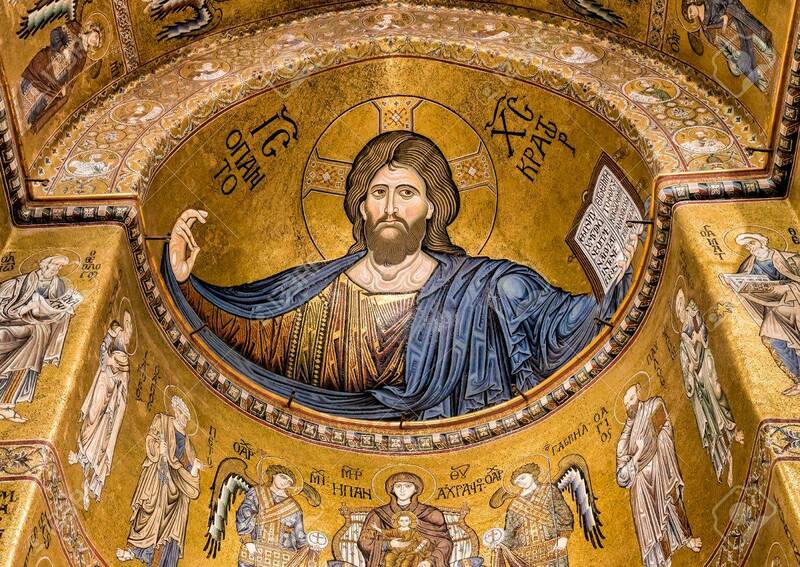 Christ is Pantocrator. Unpack­ing this claim, in all of its scandalous particularity, is the task of the Church and her dogmatic theologians. When they think of dogmas, Orthodox typically think of the definitions enunciated by the great ecumenical councils of the first millennium. Catholics add the definitions promul­gated by the Latin councils and Popes of the second millennium. Orthodoxy also has her own second millennium synods, but most of her theologians are cautious about ascribing to their teachings the same level of infallible authority attributed to the decrees of the foundational seven. Protestants, on the other hand, look to the explicit testimony of the Holy Scriptures alone for the determination of essential doctrines, with or without the assistance of secon­dary authorities. While both Orthodoxy and Catholicism affirm the supreme authority of the Scriptures, they resist, or at least seriously qualify, the sola Scriptura. God’s self-revelation in Christ cannot be reduced to the biblical witness. The Church, in the totality of her sacra­mental life, catechesis, and worship, is prior. She is herself the ontological bearer of the revelation of Christ. If we would identify the infallible propositions of the faith, we must look to her depth grammar and the rules dogmatized by the ecumenical councils (also see “Gospel, Grammar, and the Infallibility of Dogma“). First, there is the assertion that it is the ultimate and unconditioned reality, the God above all gods, with whom we have to do in Jesus Christ. Most religions are content to traffic with lesser deities. Second, it is said that God’s self-communication is final and unsurpass­able, as full and complete as it can be under the conditions of human existence. Other religions have notions of incarnation, but only Christianity says that there is only a single unsurpass­able instance of it. Others also talk about revelation but, with the possible exception of Islam, only Christianity claims that it is now closed and com­pleted, that the publicly authoritative variety will not be added to until the coming of the Messiah, Jesus, at the end of history. Finally, there is the absolute particularity which Christianity ascribes to the full presence of the ultimate in space and time. This presence was unsurpassably objectified in a specific East Mediterranean country some two millennia ago in a man about whom a good many empirically detailed stories are told. It’s easy to see how the dogmas of the ecumenical councils express the infallibilities of Christ Pantocrator. This entry was posted in Theology and tagged divine revelation, doctrine, dogma, George Lindbeck, Holy Tradition, infallibility, Jesus Christ, sola scriptura. Bookmark the permalink. Great post. Thank you for having a blog which Protestant pastors like me can read. This past bright forth both doxology in my soul.